Cut the house, bird and flowers using Blackcat Cougar. Ink edges of card and house. Stamp vine pattern to card. 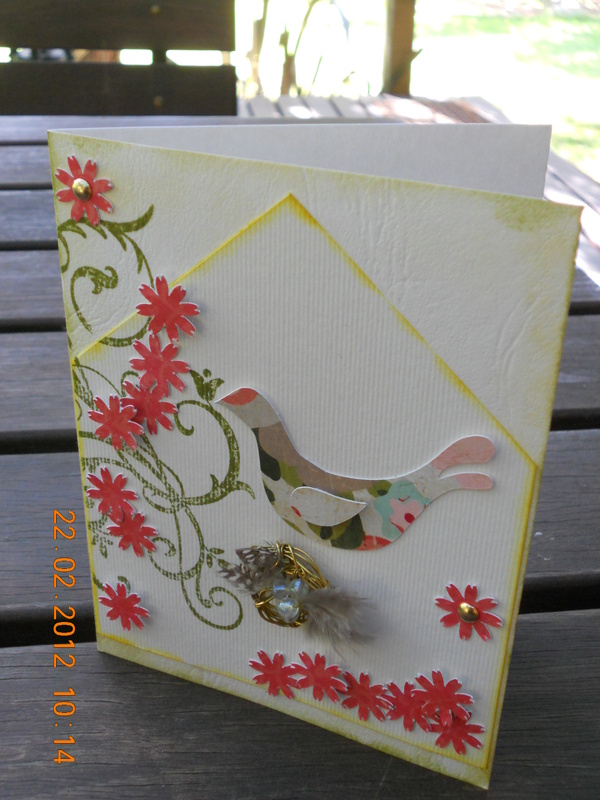 Embellish with flowers, bird and nest.